Home About Universe Aliens Astrobiology Astronomy Astronomy Picture of The Day Beginners Info Infographics Missions NASA Planets Scientists Search for life Solar System Space Exploration Pluto Has Been Officially Reclassified As A Planet! As many of you know, in 2006, the IAU made their infamous vote, deciding to demote everyone’s favorite planet to a “dwarf planet.” Their reasoning was that too many people would confuse Pluto (the doggy of Disney fame) with Pluto (the planet, of space and stuff). Immediately after this 2006 announcement, the public exploded with outrage. 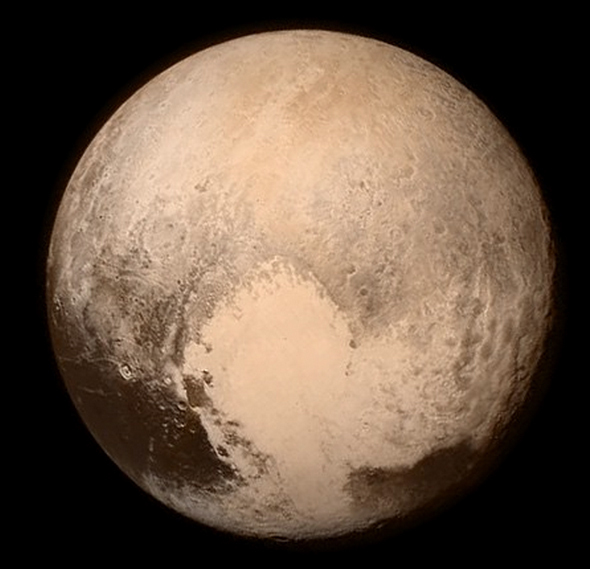 There were a number of campaigns launched that were aimed at ensuring that Pluto was reinstated as a planet. These met with no success.